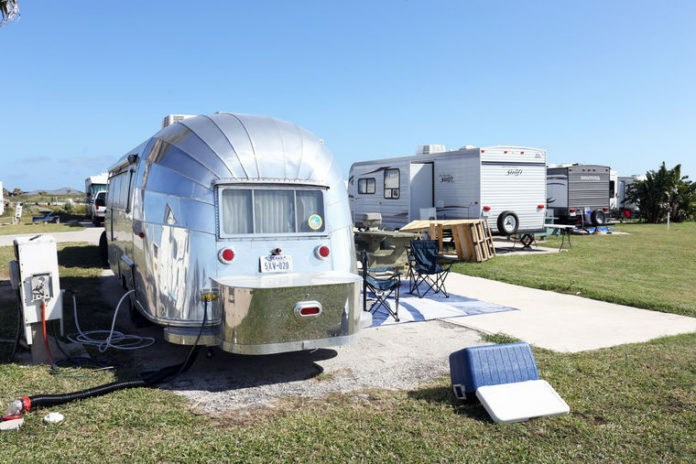 Recreational vehicles are seen parked at Isla Blanca Park on South Padre Island. Cameron County Parks and Recreation will kick off RV reservations for Isla Blanca Park and Andy Bowie County Park next week by keeping its doors and phone lines open for 12 hours on the initial day. Summer reservations will be accepted in person at the Cameron County Parks and Recreation office at 33174 State Park Road 100 on South Padre Island or via phone starting at 8 a.m. Monday. Phone reservations can be made at (956) 761-5493, (956) 761-5494 or (956) 761-3700.The office will stay open until 8 p.m. and reopen for regular business hours on Tuesday. Guests will be able to reserve RV slips for up to three months during the summer from May 1 to Sept. 3. Vega said the parks cannot accept winter reservations until a construction schedule for RV site improvements is in place.